Everyone has had their lives affected by cancer – personally, through a family member, or a friend. We are all affected and susceptible to it. No one is immune. Personally, I have lost Grandparents to the disease and witnessed family and friends go through the pain of the treatment processes. Over 3 years ago, I made a choice to change my life through exercise and diet. With that choice, I have taken on a yearly fundraiser for a cause. This year is no different and for 2015 I am training with One Goal: to End Cancer. On August 8th, I will be riding 100 miles from Columbus to Gambier in Pelotonia to raise money for cancer research. My commitment to Pelotonia is to raise $1,800 and I am hoping you will help me reach my goal. Every little bit counts and every little bit helps. Click here to donate to my ride and help end cancer. Cardinal Health employees can donate through the Giving Station with 100% company matching by selecting “Pelotonia 2015” and entering my name and rider number (Josh Zeigler JZ0041). 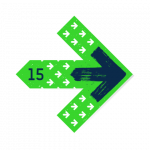 For those of you who aren’t familiar with Pelotonia, it is a Columbus, Ohio based grassroots bike tour with one goal: end cancer. Pelotonia was founded in 2008 and since then has raised over $84 million dollars for cancer research. All of the expenses for Pelotonia are covered by funding partners and EVERY DOLLAR raised by riders and supporters goes directly to fund research at The Ohio State University Comprehensive Cancer Center (AKA “The James”). For more information, visit the Pelotonia About pages. I am fortunately enough to work for Cardinal Health, a company that improves the cost-effectiveness of healthcare and is a Funding Partner of Pelotonia. The company is also a great supporter of our nearly 200 member Peloton group: The Cycltrons. Our peloton has already raised over $68,000. If you need help or have any other questions, please let me know!